CWA of Kansas Steering Committee presented Gov. 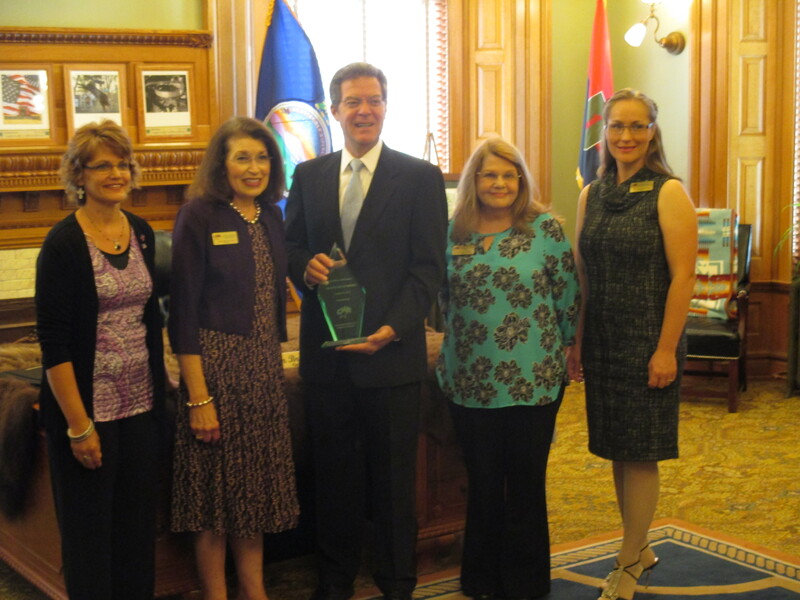 Brownback with the Guardian of Faith Award. Encourage a Legislator Marcia Kessler, Legislative Liaison Linda Highland, State Director Barbara Saldivar and Prayer/Action Chapter Coordinator Cristina Fischer. “The State Government shall not take any discriminatory action against any individual clergy or religious leader on the basis that such individual declines or will decline to perform, solemnize, or facilitate any marriage, based upon or consistent with the individual’s sincerely held religious belief or moral conviction. “So, in the name of Jesus, I pray you would raise up a voice in our nation that would rally the body of Christ and cause us to become the standard bearers to such a degree that we would profoundly affect the morality of our nation.